In the current elections, a constituency which is attracting the nation is Begusarai Lok Sabha constituency in Bihar. 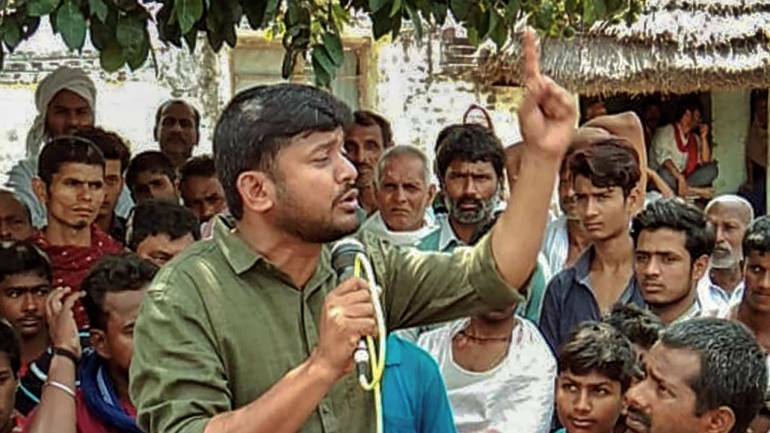 The importance of this constituency is due to the fact that this constituency is being contested by Kanhaiya Kumar, a Students Union leader turned Politician. He was joined by thousands in the rally during the time of his filing of nomination. People from across the country including social and political activists cutting across organizational lines joined in the rally. This also included his university mates who had joined him in the JNU struggle namely Shehla Rashid, Rama Naga. Others also included Jignesh Mewani, Teesta Setalwad and Swara Bhaskar. While importance of individuals should matter less, the importance of Kanhaiya Kumar needs to be understood in the larger context of the Government that came into power in 2014. The Modi Government had a clear agenda. While on the one hand, it was talking of Ache din and Sabka Saath and Sabka Vikas, contrary to focus on the agenda, it was carrying out an exclusionary agenda in line with RSS concept of Hindu Rashtra. All the opponents were being ruthlessly attacked and branded as anti-nationals. Minorities and Dalits were being lynched. Hindutva foot soldiers were let loose. One of these attacks was also on centers of Intellectual dissent. It was here Jawaharlal Nehru University was attacked and Kanhaiya Kumar, the President of Jawaharlal Nehru University Students Union (JNUSU) at the time was picked up and put in jail with the allegation that he had raised anti-national slogans. Kanhaiya also attracted a large number of resistance voices. At a time when the constitution is being threatened by the Sanghi forces and an attempt to reshape the basic character, he emphasized utmost faith in the Constitution and its potential for providing equity and justice. He also pointed that Modi merely remains a mask. And the real danger is the RSS which has a fascist agenda, which completely goes against the basic constitutional values. Kanhaiah also showed a way of fighting election. Through many of his supporters and well wishers, he was able to raise crowd funds, to meet the campaign expenses. This goes against the practice of getting corporate funds, practiced by parties. He continues to be an anti-thesis to the RSS forces. His vision of a new India stands for Equity and Justice, contrary to RSS concept of ‘Hindu Rashtra’ where Nation would be built on ‘Communal Corporate’ nexus. His vision of a human identity rising above communal and caste identities goes contrary to the supremacy of Hindu religious identity of RSS. While RSS aims at going against the constitution, Kanhaiya reposes extreme faith in the constitution. While RSS teaches hatred, Kanhaiya teaches love and harmony. In his speeches, he emphasized that there is a difference between ‘Ram Ram’ and ‘Jai Shriram’. While the former is a way to wish, the latter is a way to assert a religious identity. While the result of the election in Begusarai cannot be guessed, at the same time it gives fresh hope of a voice of resistance finding a space in the parliament and raising genuine issues of people. It gives a hope that in a nation that is being torn in the name of ‘Hindu-Muslim, National-Antinational’, there is a space that can be given back to the real issues of the people – Jobs, Employment, Education, Healthcare, Justice, Equality etc. This has been done in the past too by many good parliamentarians. But at the moment, when RSS is making an attempt to take over the nation in the process of establishing the Hindu Rashtra, it is important to have representation of leaders who can fight the same and bring people’s issues to the core. It is important to have leaders, who can bring together resistance voices and articulate a new vision of the future of India. It is here that importance of Kanhaiya being elected remains. Jayashubha is a Teacher and has deep interest in Social and Political issues.